Welcome to our online listings of availalble rentals. All properties are available for immediate move in unless otherwise noted. Our company policy only allows for showings with an agent present, so contact us to schedule an appointment by phone at 910.423.8071. We will do everthing possible to meet your scheduling needs including after 5 PM Monday - Friday and Saturday if we have an appointment prior to closing on Friday. All of our listing include multple photos, details and address of the property if you would like to drive by the area prior to scheduling a showing appointment. Most properties are pet friendly with approval of the owner. Reduced security deposits are possible for active military. We look forward to showing you one of our beautiful properties soon. Remember call for an appointment 910.423.8071. 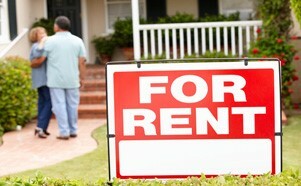 Click on the FOR RENT sign below to view available properties.